Stamping Lane: Halloween and the Great Pumpkin! Halloween and the Great Pumpkin! This week has been a busy one. On Tuesday I was a chaperone for Jack's field trip to the Smithsonian National Zoo in D.C.. The weather was nice, the bus ride a little long due to the traffic, but he really enjoyed himself and so did his friend Jordan that hung with us for the day. I should have worn my pedometer, as it was a lot of walking! But it was good for the body, so I shouldn't complain right? Today it was back to work as usual. 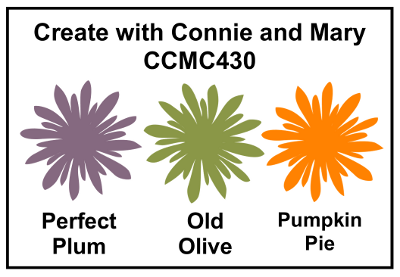 This week's color challenge at Create with Connie and Mary made me instantly think of Halloween. Since it's right around the corner I thought I would share with you one more project for it. 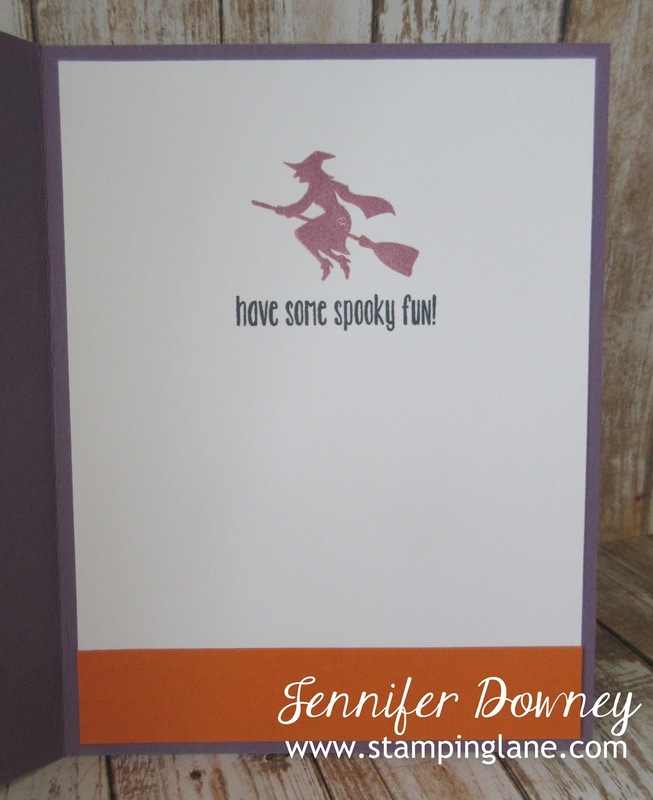 I created this fun background highlighting all three colors by using the stamp from the Spooky Fun set. Thank goodness for photopolymer, it was cinch to line each one up and stamp it! The jar and pumpkin are from the Jar of Haunts set and I actually used a dauber to apply the color to both. I thought it gave them a more softer appearance than had I used our markers. A quick little picket sign, and it gives the appearance of the Great Pumpkin Patch from the Charlie Brown movie. Here's the inside of the card as the stamping continued in there as well. I really have loved the Halloween stamp sets this year. I bought way too many of them, but they have been used and put to good use! It will be Thanksgiving and Christmas projects soon enough. Thanks for stopping by today! We would love for you to play along with the color challenge this week! Happy Stamping! 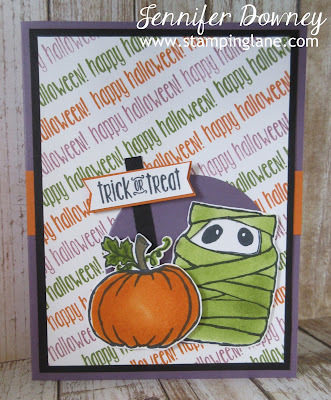 Your stamped Happy Halloween background looks awesome! Stamping words in a row that many times can get tricky, but you certainly pulled it off! You've combined the colors effortlessly in such a cute design! Well done! I love your background! What a fabulous way to use the color combination. Super cute card! What a great background to your Halloween scene - perfectly aligned and a great way to really highlight this week's colours! Such fun! Super cute! Way to go making your own DSP! Fantastic card. I love everything about it! The background is brilliant and I love the mummy jar! Great fun card! This is SO, SO cute! I love the words background and how cute is that stack with the Trick & Treat sign! I know...I bought way too many of the Halloween sets, too, especially with how many I already have...but who could resist! Great job with the color challenge this week!